Denim used to be incredibly dynamic--it came in different weights, constructions, colors, stripes and patterns. Somehow, as the demand for denim within the fashion industry has exploded, the types and looks available to consumers have gotten less exciting. We thought we'd try something simple: striped denim. 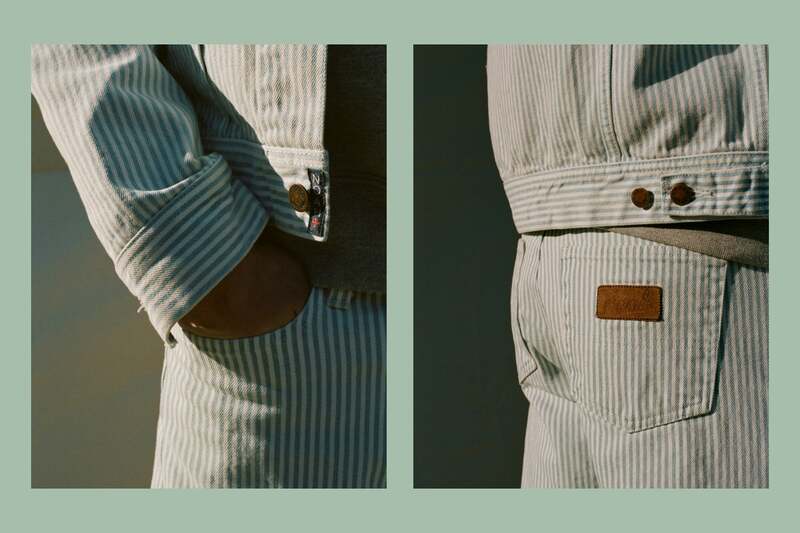 It turns out that, although you may be able to find a few indigo stripes coming out of Japan at a premium price, sourcing striped denim in different colors proves almost impossible. So we've gone and done it ourselves. 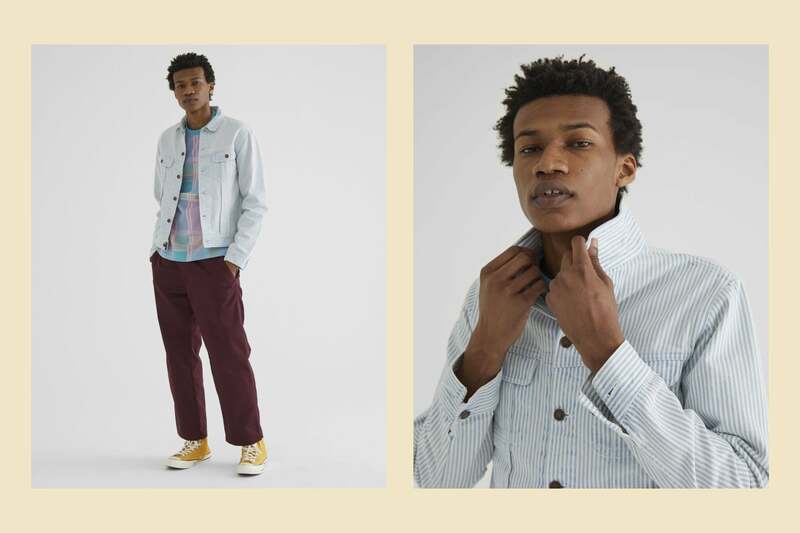 In a lighter weight for summer, and slightly faded, Noah's custom blue and yellow striped versions serve as a creative replacement for white jeans come summer.